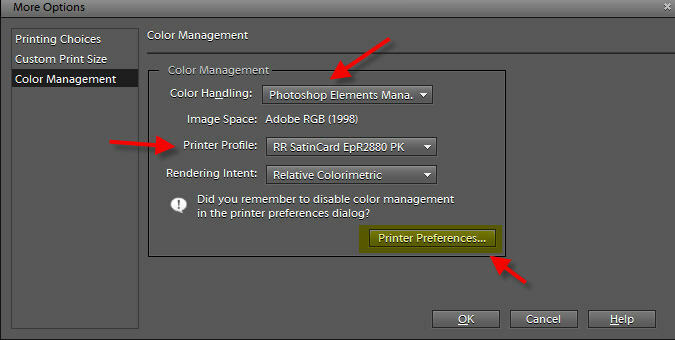 1) Choose Photoshop Elements Manages Color. 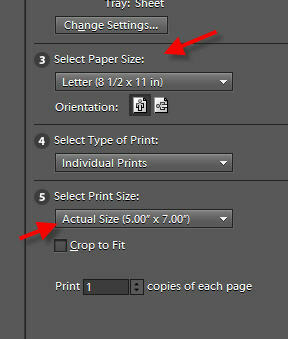 2) Select the ICC profile from the drop down menu - The profile should have the name of your paper and printer. 3) Rendering Intent - Either Relative Colorimetric or Perceptual. We recommend Relative Colorimetric for most images. 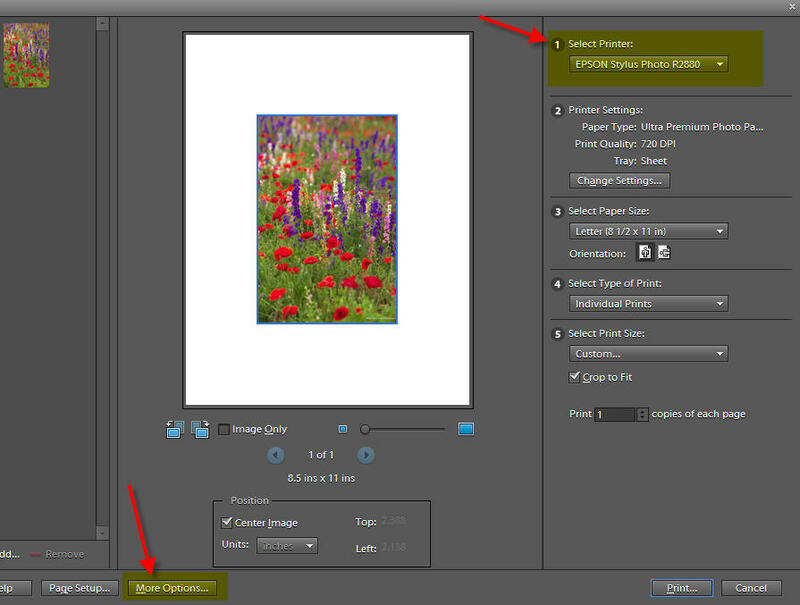 4) Now click the Printer Preferences button - this will launch your printer's preference dialog.